In this week’s podcast, we’re talking about hiring talented writers. Content creation is fundamental when it comes to building an authority site, and unless you’re doing all the writing yourself, it’s important you know how to properly outsource this stuff. 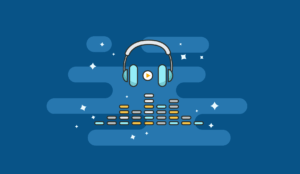 In this podcast episode, we reveal our exact hiring and screening process for finding high-quality writers, regardless of the niche. Before we talk about the actual hiring process, let’s first discuss when it makes sense to outsource your work, because it’s not always the best move for everyone. The obvious starting point is whether or not you’re a native speaker. If you need content written in English but English isn’t your first language, it makes sense to consider outsourcing. And if you’re in a niche where a high-level of expertise is generally required, then hiring someone with that knowledge/background can be a no-brainer… particularly if you’re really lacking that expertise. Another aspect to think about is money. 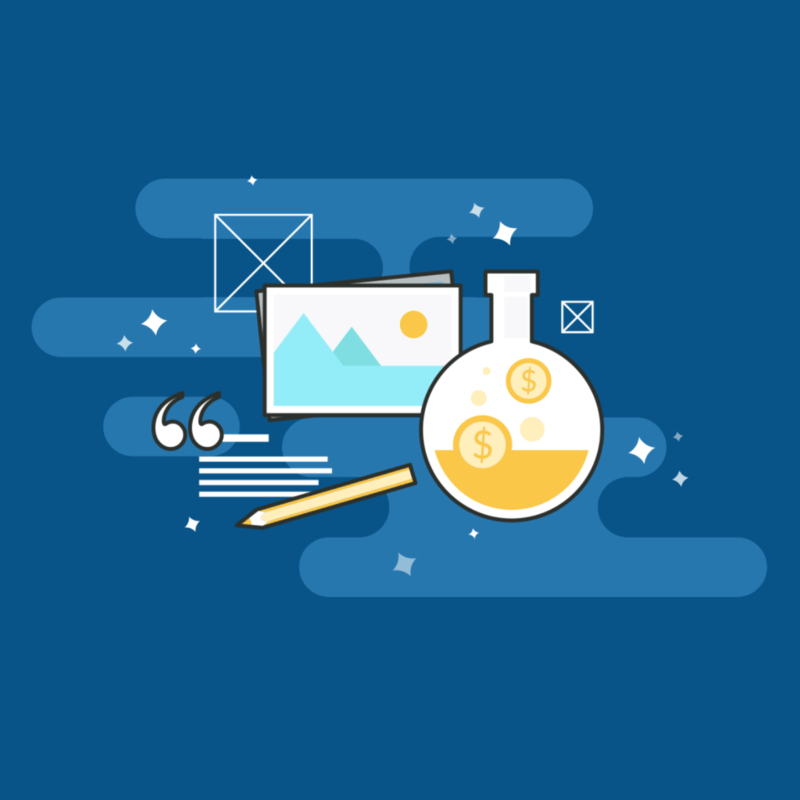 If your site is already generating profit, it often makes sense to allocate some of that budget to writers so you can spend time on higher-level tasks – like keyword research and developing new content types. Removing yourself as the bottleneck is key, and ironically, this is when most people struggle to hire because they’re already overwhelmed. Don’t forget, you still need to account for on-boarding and training for a period of time after the hire. Even when you do decide to outsource, you should ALWAYS write a few article yourself to get a feel of what’s required and gain familiarity with the niche. Not to mention building a process with templates that someone can easily follow. If you skip that part, the content you get back from writers might be ‘good’, but it wont be ‘great’. You need to be able to shape your content and you can’t do that without having been in the trenches yourself. We really can’t stress the benefits enough. Okay, now on to the hiring process and we generally look at this as a big funnel, filtering applicants out at different stages. Before you can do any of that, though, you need to get applicants in the first place. That not only involves posting a job ad , but also spreading the word about it too. The more applicants, the better. Doing this alone allows you to filter out around 50%-70% of the original applicants. At this point, you’ll want to create specific stages for remaining applicants to progress through. And if at any point they don’t respond in a timely manner or meet deadlines, they’re out. Next, have all the remaining applicants write an article on the same topic, with the exact same brief. This allows you to compare like for like and makes it MUCH easier to compare the ability of multiple writers. Alternatively, you can have them edit the same article, but it’s the same principle. Paying applicants for this task is up to you, but unless you have a strong reputation in your niche, you’ll be met with some resistance by some of the better, more established writers if you choose not to offer a financial incentive. When you do eventually hire the “winner”, it’s important to assess them over a set period. Even the most promising writers can turn bad given enough time. That said, you should allow some time for writers to adapt. In the beginning, you need to develop an eye for potential. Your job advert/listing is a crucial part of the process. In fact, your ability to create an effective ad will be often be the difference between 5 applicants and 50 applicants. This isn’t an exaggeration, either. The first thing you need to do is introduce yourself. Let people know who you are and what your position is in the company. It’s also a good idea to include your name, as this will help you filter writers who don’t address you by name in their application. Next, give some information about your website. You can say how many readers you get, how long you’ve been established, etc. After that, you can explain what the job is… exactly. Is it a part-time or full-time position? Is it long-term or short-term? And don’t make it longer than it needs to be. Finally, explain what type of person you’re looking for and avoid the usual “team player”, “quick learner” BS. It’s been beaten to death. This is an opportunity to call out specific requirements, like access to certain tools or hardware, or a background in weight loss, for example. At the very end, you need to give them a way to apply. For many roles, a resume is useful, but it’s a pretty bad indicator for writers. Comparing people’s ability to write a resume doesn’t really correlate with writing high-level content in your niche. It’s just irrelevant. We prefer an application form, and we tend to use Google Forms. Alternatively, you can use something like Wufoo or Gravity Forms. 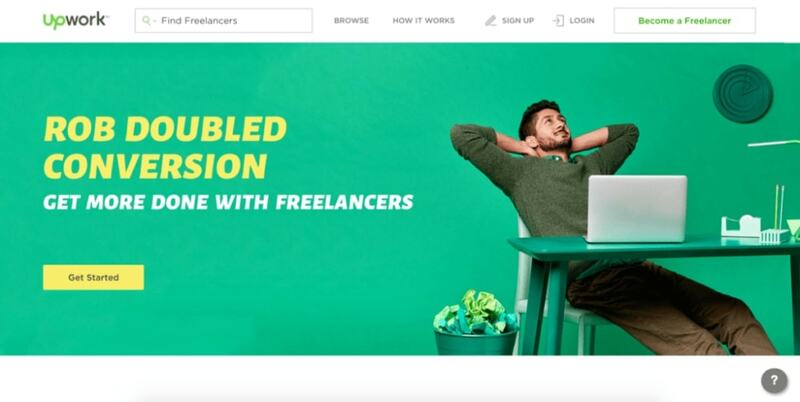 Upwork is the biggest freelance platform in the world and one we use quite regularly… but it’s not really built for writers. It allows contracts on an hourly or fixed-rate, which is a bit awkward if you’re looking to hire on a ‘per word’ basis. Fortunately, though, it is free to post a job ad. And done properly, you can expect a healthy number of applicants. In fact, we consistently get 40-70 applicants on our Upwork job ads in the health niche. 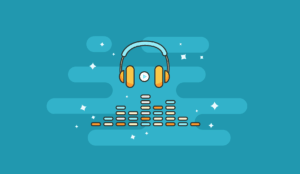 Upwork is also great in a sense that you don’t have to build your own application process, it’s all baked into the platform along with Escrow protection and payment processing. They take care of all the nitty-gritty stuff. 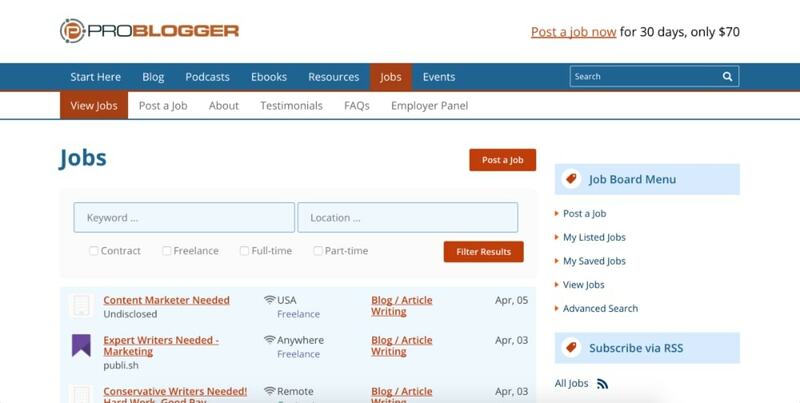 Since Problogger is just a jobs board, you’ll still need to manually collect applications using something like Google Forms, as well as handle payments yourself. 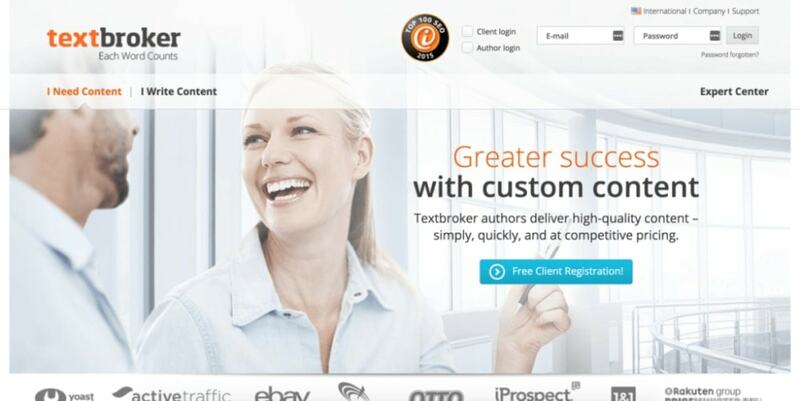 We’ve also used TextBroker in the past, which is a writing platform specifically for content. It’s not a bad option but quality seems to vary a lot. The price is fixed at 2.4 cents per word for 4 star writers but jumps to 7.2 cent per word for 5-star writers – though we’ve found they aren’t THAT much better. Seeing as TextBroker is one of the cheaper options out there, we recommend tipping writers to ensure they stick with you, continue to meet deadlines, and maintain overall consistency. Another option is to reach out to writers/bloggers personally. Use Google search strings like niche + “hire me” to uncover bloggers who have their own websites, and are advertising themselves for hire. These people often aren’t fully aware of the freelance marketplaces and you can pick up some real talent at very reasonable rates. Finally, you may want to try an agency. We’ve personally never had any success with these, but we know some people have had better experiences. Most content agencies are just acting as a middle man between you and the writer anyway, so if you follow our process, you’ll be able to remove the middle man. This is always an interesting topic because a writers “rates” seem to vary wildly depending on where you look, and who you ask. For starters, the payment structure can significantly influence cost. If you’re paying someone on a ‘per hour’ basis, they could “drag it out” to bump up their earnings. And if you’re paying on a ‘per article basis’, they may try to pad their articles to bump up frequency. It also removes a lot flexibility since changing the article length can make it hard to calculate correct payment. For these reasons, we prefer going on a ‘per word’ basis wherever possible… but it can still suffer from some of the problems we mentioned above, so you still need to keep a keen eye on things. So how much should you actually be paying? We recommend 3 cents per word as a minimum (on a freelance basis) if you’re looking for a half decent writer. If it’s a tricky topic that requires a certain level of knowledge or heavy research, you should even be prepared to go as high as 6 cents per word. And it’s not as simple as pay more, get more. Freelancers essentially price themselves and there are plenty of 3 cent per word writers that outperform 6 cent per word writers. To be honest, anything more than that is pretty random and seldom justified. Even if you’re following a well defined hiring process, it can sometimes be difficult to know who to hire at the end of it all. While missed deadlines and bad communication can make it easy to eliminate applicants at the late stages, there’s always that tough decision to make on the final few. The truth is, you just have to trust your gut. Aside from that, you have to remember that apart from correct spelling and grammar, there’s really no hard and fast rules about what makes “good” content. It comes down to you and your own observations. Before we wrap this up, there’s a few little tips and tricks to keep in mind. As we mentioned earlier, it’s imperative you template your content before outsourcing. That means breaking it down your structure for each article type. That’s the only way to truly scale. When it comes to your job ad, it’s important to collect as many applications as you can. Spend money if necessary because it’s 100% worth it. If you’re not ready to spend money to bring in more applicants, you may not be ready to hire someone. Finally, if you’re looking to hire someone on a consistent basis (which is often beneficial), that’s something you can – and should – leverage to attract more applicants. Freelancers are always having to find new clients and spend time prospecting, so it’s a BIG plus. I was wondering how much you guys pay your editor and if you used the same process to find one? We don’t discuss our exact staff costs (for obvious reasons) but try placing a job an on Upwork to see what kind of offers you get. Loved the Podcast. Just wondering, did you use the same process for hiring your editors and if so how much do you pay them to edit the content? More or less the same, yes. Great podcast guys! When you hire writers, do you recommend giving them author attribution for the published articles or do you use them more like ghost-writers and put your own name as the author? It really depends on your strategy. These days they’re almost all ghostwriting but if the writer has some Klout in the industry it can be a good idea to use their name and social following to get initial traction. 1. You mentioned in the podcast that you have templates for hiring quality writers. Do TASS members have access to these templates? 2. You said you have an Editor on HealthAmbition who checks the accuracy of articles written by your writers. This makes sense to me as, like you, I am not an health expert either but I would like to go into the health niche myself. As I don’t have funds to employ an Editor, how do I get round the problem of checking articles for information accuracy, validity, reliability etc. 2. If you can’t afford to hire someone and you don’t know the topic yourself, then you just have to trust the writer. Maybe spend a little bit of money to have an expert check a few pieces. That way, you can determine if you writer is way off course. It’s definitely worth taking the time to familiarize yourself more with your topic though.